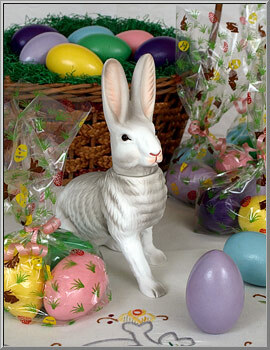 Our pretty pastel eggs are fun accents for Easter baskets and displays. 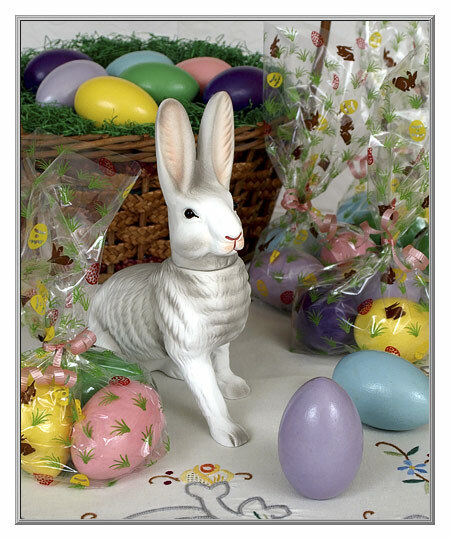 Made with flattened bottoms so that they will stand tall in any Easter tableau, these hardwood Easter eggs were crafted in a small family workshop in Vermont back in the 1980's. Lacquer painted in pastel hues, the sets include a variety of the colors pictured. Sold as a set of three eggs. Standing pastel eggs are 2½" high.